As Commonwealth's chief business development officer, I help advisors grow their revenue. Our discussions usually focus on client-facing activities—the proven revenue drivers. Although independent advisors need to run all aspects of their practices—from technology to HR to client service—the only way to grow revenue is by being in front of clients and prospects. Although my conversations with advisors differ, I've noted some underlying themes emerging. Many advisors are looking to buy a practice or hire an advisor. But there are also several organic growth trends that are shaping advisor practices, and they have both short- and long-term implications. Here, I'll focus on four trends that I think will have the greatest impact. Having a niche is a proactive strategy for capturing business from a market segment you are well suited to serve. According to CEG Worldwide, 70 percent of top financial advisors—those earning at least $1 million annually—have a niche. These advisors are specialists with expertise in solving particular problems for a very select group of people with similar needs. They also have the potential to be more successful because of their focused knowledge. Despite this, some advisors hesitate pursuing a niche for fear of losing other business. "What if there's a $2 million prospect who doesn't fit my niche?" they ask. "Do I take her as a client?" If you've had similar thoughts, here's a suggestion: Accept the $2 million prospect as a client! If you can meet this person's needs, there's no reason to say no. To be sure, you can't make an exception for everyone. But it's okay to stray from your playbook on occasion. Just ensure you devote the majority of your time to gaining expertise about your niche—and gaining introductions to ideal clients who fit within it. Moving forward. If you'd like to grow your business, seriously consider targeting a market niche. It should be both identifiable and profitable—and have financial issues that you have the knowledge and skill set to address. Did you know that introductions and referrals are two very different ways to meet prospects? With a referral, you might get a name and a way to approach a prospect. With an introduction, you get in front of the prospect (right where you want to be!). Once you've been introduced to a prospect, you have the green light to follow up. There's no need to wait for someone else to participate in the relationship. Being in control, with clear action to take, is always a better position than being in the referral netherworld. Your client who made the introduction is now vested in what happens next. Most likely, he or she will feel somewhat obligated to keep the conversation going and, implicitly or explicitly, is vetting you for that prospect. Since the prospect has been introduced to you by a friend, relative, neighbor, or colleague, the relationship starts from a position of strength and has a better chance of continuing to develop. "I'd love to meet John. Why don't we all try to meet for coffee next week? Can you set that up?" "Do you have John's contact info on your phone? Why don't you send him a quick e-mail now and cc me on it, telling John you've asked me to call him." Your brand is integral to your business's growth. Branding is the difference between attracting people to your practice and chasing prospects. Everyone has a brand. What's yours? Highlight what's unique to you: family, hobbies, activities, and community involvement. Be specific about your interests. If you're a reader, for example, discuss the books you like. If you golf, describe your game so that someone knows if you're learning to use your irons or have an unbelievable short game. Ours is a relationship business. Sometimes we lose sight of that, worrying about things outside of our control. Case in point is the rise of the robo-advisor. Is the science-fiction scenario of man versus machine here in earnest? Rise of the robo-advisor. It seems that robo-advisors will have a big effect on our business. Websites like LearnVest and Betterment are geared toward some underserved segments of our population. And they're gaining clients—gathering a lot of information in the process. What do they offer? Further, as these sites evolve and adapt their offerings, they'll start pursuing higher-net-worth prospects—which could hurt. But technology can enhance the client relationship—it doesn't have to replace it. Robo-advisors will change the business as we know it, but they could make us stronger. Moving forward. It's vital to understand that business is based on the quality of client relationships. If you spend your time, money, and energy accordingly, you'll prosper no matter the latest technology trends. And if you aren't spending more time on client relationships than anything else, it might be time to recalibrate your practice, ensuring that you are optimizing both your time and your experience. There's no doubt that working with advisors, and listening to them, makes my job interesting. But coming up with strategies to grow their practices, and giving them tactics that are actionable, is what makes it fun. 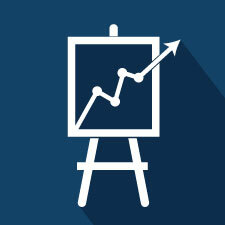 Are there other growth trends that are shaping advisor practices? Have you seen these trends affect your practice? Please share your thoughts with us below.